This season, find the prefect gift in art. From maps pertaining to regional identities, to disgruntled penguins and zombies, a local print can be the perfect gift for that 'hard to buy for' person. David Buckley Borden combines the derogative expression of “Masshole” with a variety of Massachusetts’ soil horizons. 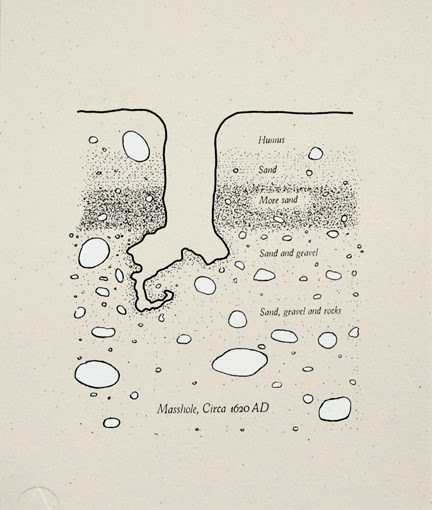 “Masshole Classic” is a long running drawing series where David combines the derogative expression of “Masshole” with a variety of Massachusetts’ soil horizons. The limited edition “Masshole Classic” print, available from Trifecta Editions, features a generalized Cape Cod soil profile. Visit David Buckley Borden’s official website for additional works for sale including “Boston Harbor Islands Silkscreen Print” and “Maine is Cold Map Print”. If you’ve visited the SOWA market in Boston, you’ve probably ran into Greg Stones and or his penguins and zombies. The Rhode Island author, artist, tall guy, is the creator of, “Penguins Hate Stuff” (2013), “Zombies Hate Stuff” (2012) and various watercolor prints. 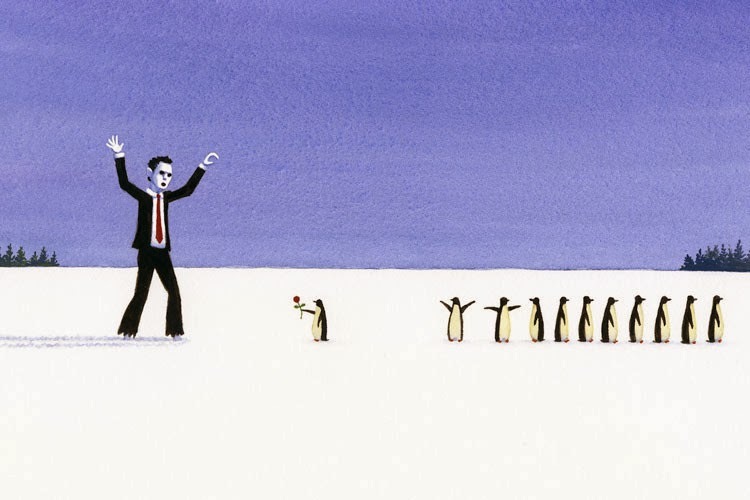 Despite the book’s title, Greg proclaims that with the exception of the penguins that are exposed to nuclear waste and become zombies (Zombified things are always jerks), his penguins are mostly just trying to live their lives, and as is often the case in this world, humorously bad things happen. And although he may not be entire sure what Zombies hate, “Partially because they don't exist, but mostly because research makes me sleepy,” Greg does know his zombies are classy and understand the importance of a good suit and tie. “The small amount of research that I did do showed that nine out of ten victims prefer being eaten by a professional living corpse who looks the part.” Greg’s artwork and books can be purchased on his official website.